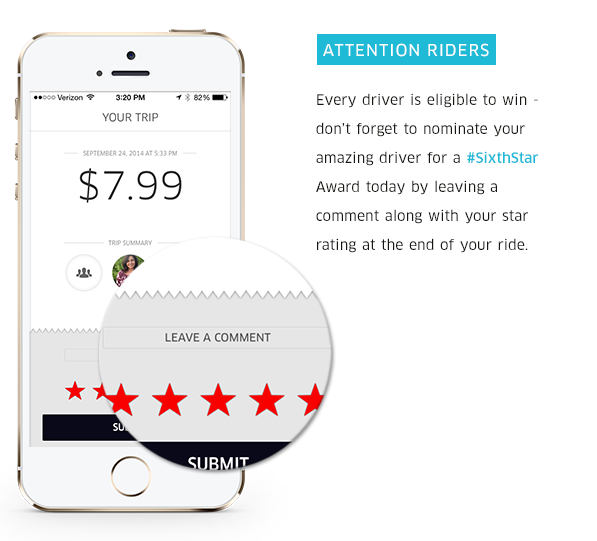 You are being judged every time you hail an Uber, and a running score is being associated with your Uber account. 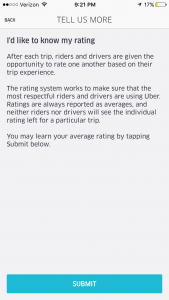 This is your Uber Customer Rating and it could mean the difference of a quality driver to pick you up during a rainstorm. It is a pretty intelligent and simple system which can ensure a mutual respect for both the drivers and the passenger. So what are they rating, anyway? How nice you are? That’s the hard part, no one knows. There isn’t a rubric or guide that says when someone deserves three stars or five. It’s an entirely objective rating, based on personal judgement. And your rating isn’t easy to find. 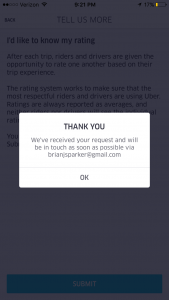 In the past, this service required a user to reach out to Uber customer support in order to receive their Uber customer rating. 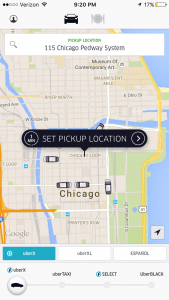 Now, Uber has a process for customers to find out how fun they were to drive to the bar on New Year’s Eve. 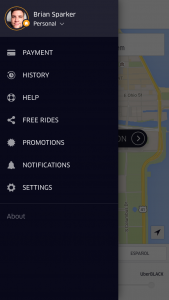 Fire up the Uber app and hit the menu icon located in the upper left-hand corner (it’s a circular silhouette of a person). 1. 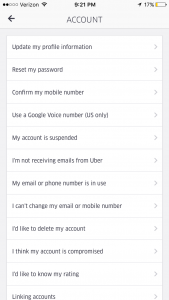 Open the Uber App on your phone. 4. In the account menu, near the bottom, is a “I’d like to know my rating” option. Boom, you’ll be emailed your rating in about 15 minutes. How cool is that? Rating an interaction like this represents the future of customer service. Software is eating the world, and subjectively rating the customer experience is the only way to ensure the software isn’t eating the positive aspects of the commercial transaction. 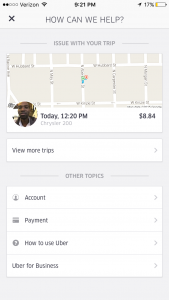 * We’re seeing this trend in Long-Running Questions, Customer Feedback Tools, and now, Uber. And as Uber and other services diversify their reach into food delivery, package delivery, Drones, AI, and Autonomous Vehicles, the rating system will become an important benchmark in the digital future of capitalism. Finally, here is my Uber Score, for those playing along at home. I hope I don’t get fired. *I like to imagine software as a giant monster eating the world, but spitting out parts it doesn’t like, like human emotion, which it will probably consider a weakness and attempt to destroy.